Selbyville Delaware Real Estate for sale - Delaware Beach Real Estate. Displayed below is an index of available Selbyville Real Estate Properties currently offered for sale. 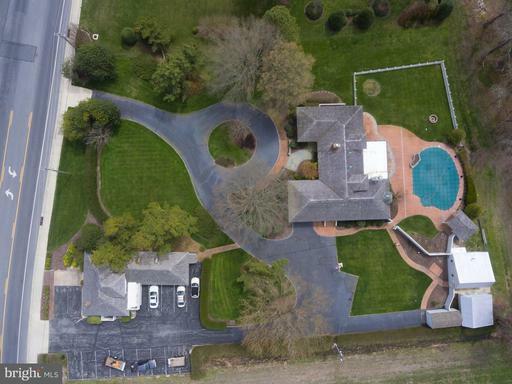 Click on the property photo or the address for each individual Selbyville Delaware property full details, satellite map of the location and all amenities. For a more detailed & refined search of all Selbyville Real Estate Properties on the Multiple Listing Service (MLS) consider using the detailed search page located here: "Detailed Real Estate Properties search." 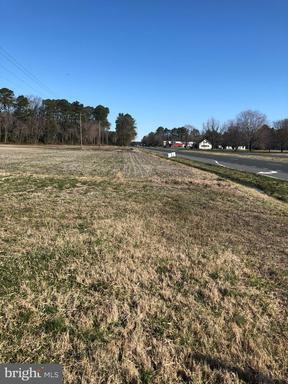 135.44 Acres available in Selbyville. A portion of this parcel have been farmed for years, and currently have a lease on them that requires a 1-year notice and there is a lease for a commercial billboard on the RT 113 side that needs notice as well. Approximately over 1400~ of frontage on RT 113/DuPont Blvd, but there even more road frontage on the McCabe Rd side. Approximately at least 2/3 of the land is cleared and zoned Agricultural/Residential, and there is about 1/3 of the acreage that is wooded. 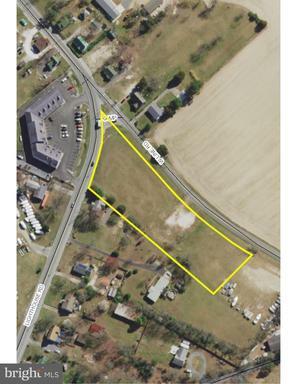 A portion of the parcel on the RT 113 is zoned Commercial. A small portion of the lot straddles McCabe Rd in a triangular shape. Lots of potential with this parcel! Opportunity for commercial/residential use, or a complete new redevelopment. Incredible residence (builders home) plus resort style pool, with free standing office, 2500 square feet, perfect for an insurance office, specialized medical, or other uses. Property has out buildings, one used as a gym. Landscaped perfectly, makes it yours. Builders/ Developer Preliminary approval for 25 single family lots. Approx. 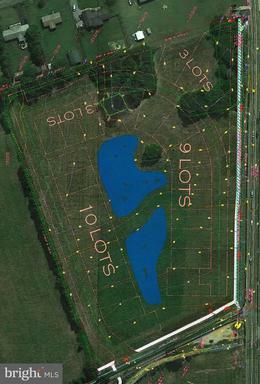 22 lots will back up to community ponds. Luxury Beach Home is a Custom 4 Bedroom 4.5 Bath Home To Be Built on Rare Grand Estate Lot that is nearly 1/2 an acre in Award Winning Waterfront Golf Community. Lane Builders has an Exclusive 2 Story Showplace Home planned with 1st Floor Owner Suite, Great Room with Coffered Ceiling and Gas Fireplace with Mantle, Gourmet Kitchen with Island & Profile Stainless Appliances, All Wood Cabinets with Soft Close Hinges and Doors. Hardwood Floors in Foyer, Dining, Kitchen, Sand Room, Powder Room and Stairs. Crown Moldings, Sand/Mud Room, First Floor Laundry Room, 1st Floor Powder Room. 2nd Floor has Second Owner Suite, 3 Guest Rooms. All Bedrooms with Private Baths. 2nd Floor Office. All Baths are Tile. 2 Zone/2 HVAC Systems. Attached 2 Car Garage and Outdoor Shower. Enjoy Year Round Bayside Institute Classes & Activities, Bay Access, Kayak Storage, Nature Trails, Tennis, In and Outdoor Pools, Fitness Centers. Members Only Bay Front Pool. 2 In-Community Restaurants. Jack Nicklaus Signature Golf. Beach Shuttle in Season. All just minutes from Delaware and Ocean City Beaches, Dining and Nightlife. To Be Built. Live Bayside & Live The Vacation in this beautiful Sanibel model home built by Schell Brothers. Located on one of Bayside's quietest side streets this 4BR, 3.5BA home offers beautiful pond front views directly on the 9th Hole of Bayside's Jack Nicklaus designed golf course. The entry level features an oversized 2-car garage with additional storage providing indoor access through the garage. Once you enter this beauty you are blown away by the amount of entertaining space at your disposal. Your 1st floor features over 1200 square feet of living room entertainment area with 2 bedrooms and 2 full bathrooms. Take your own personal elevator to the 2nd floor that will see you enjoying another 2000 square feet of beautiful top quality craftsmanship in your open concept living room/gourmet kitchen combination. The high ceilings and views of the golf course will steal your attention but the gourmet kitchen will draw you right back in with beautiful pearl white quartz counter tops, premier level navy blue glazed cabinets and stainless steel appliances and gas range. Your private office features built-in back-lit cabinet style shelving and french doors along with a walk-in closet if you desire to use as another guest bedroom. You may never want to leave your master bedroom with an additional seating area with windows overlooking pond and golf course views and a master bathroom suite that will give you the feeling of being in your favorite resort spa. Walking out onto your 2-story deck you will find all you need to entertain with an outdoor fireplace and grilling station replete with a granite counter top prep area with stainless steel grill all wrapped in classic stone. 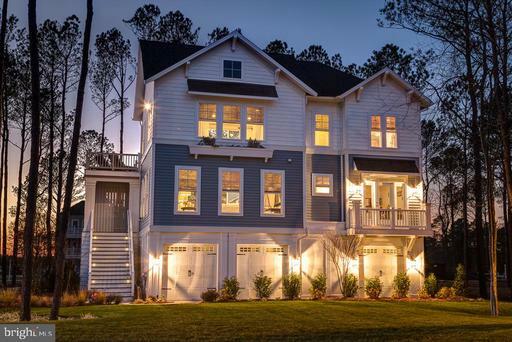 The views will captivate you at dusk but no bugs or mosquitos will because this house has been fitted with the revolutionary MistAway Automatic Mosquito Control System! Using a botanical formulation this system keeps you happy, healthy and mosquito free morning through night! The views of the golf course do not stop from your back deck as you can see the action of the 10th, 11th and 15th holes from the front porch of your house as well. 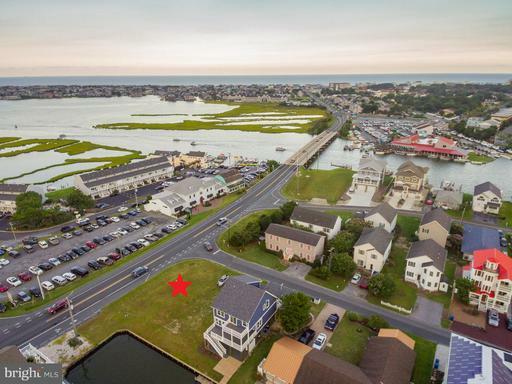 No other streets in the community can offer the views like the ones you will see on S. Magnolia Crossing! S. Magnolia is a quiet cul-de-sac with only 6 other beautiful homes guaranteeing the most pleasant & peaceful premium homesites in the community. 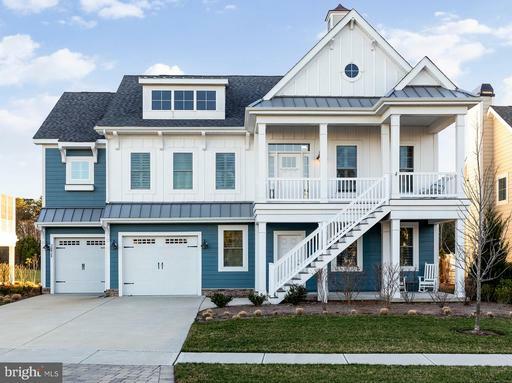 Along with all of these wonderful perks of the home, it is located in none other than Delaware's #1 resort community of Bayside. The excitement continues with summertime fun when national grammy award winning music acts visit The Freeman Stage, or when you want to take a dip in any of the community's 5 pools all with hot tubs, food, drinks and live entertainment provided all throughout the summer months! The Point located on the Assawoman Bay offers all Bayside members access to kayaking, paddle boarding, fishing, crabbing and hiking. There is really no other place like Bayside and if you want to experience all of this in luxurious comfort than this house is the one for you. Why build when you can have this home immediately! Don't miss out! It is time to Live Bayside & Live The Vacation! Experience the resort lifestyle in this fabulous coastal style home ideally located in the premier golf resort community of Bayside & just minutes to nearby beaches. This stunning 5 bedroom, 4.5 bath home features 3 master suites & adjoins the Jack Nicklaus Signature golf course offering beautiful views overlooking the 14th fairway with water views in the distance. The main level offers a spacious open concept floor plan with light & bright Great Room, gourmet kitchen with island, huge breakfast bar, granite countertops & stainless steel appliances, adjoining dining space, master suite with large walk-in closet & private access to front covered porch, rear screened porch & sun deck boasting expansive golf course views. The upper level offers 2 guest suites with full hall bath, laundry room, & the master/owners suite with tray ceiling, luxury master bath with double sink vanity, soaking tub, separate tiled shower, his & hers walk-in closets, & rear deck featuring your own private driving range setting. Lower level in-law suite with private bedroom, living area, full bath, & sliding doors leading out to back covered patio. Beautifully designed & upgraded with hardwood flooring, elevator for ease of access to all 3 levels, oversized 2 car garage, motorized window treatments, irrigation system, & more! Join & enjoy all the amenities at Bayside including the award winning world class golf course, several pools, fitness center, tennis, biking/jogging paths, dog park, water access, & so much more! 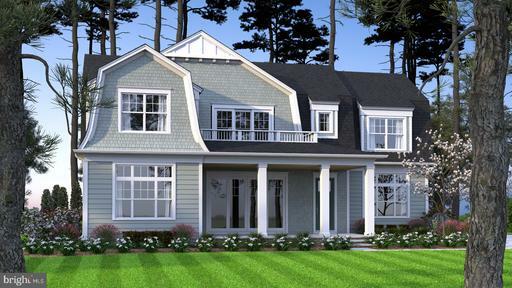 Elegant Features and Function in this Evergreene Sandpiper Model 4 Bedroom, 3.5 Bath to be Built Home on Nearly 1/2 acre Lot with Golf and Lake Views. Large Outdoor Living Room, Elevator, 3 Car Garage. Verdana & Sundeck off Owners Suite with steps down to Outdoor Living Room. Coffered Ceiling in Great Room. Outdoor Shower on Ground Level. Gourmet Kitchen Package to include: Portfolio 3 Cabinetry, Soft Close Door and Drawer Package, Base Cabinet Side End Panels, Cabinet Crown, Cabinet Double Trash Can, Portfolio 3 Countertops, Portfolio 3 Electrolux Stainless Steel Appliances, Portfolio 3 Ceramic Tile Backsplash, and Under Cabinet LED Lighting. 4 Panel Sliders in the Kitchen and Great Room. Hardie Plank Siding. Portfolio 3 Sustainable Wood throughout House & Ceramic Tile in All Full Baths. Black Windows on Exterior. Other Upgrades Available on this To Be Built Home in Award Winning Bayside with Indoor/Outdoor Pools, Bay Front Members Only Pool. Bay Beach with Kayak Storage. Nature Trails. In Community Shopping. Year Round Learning Institute. The Time is Now to Live: Bayside.